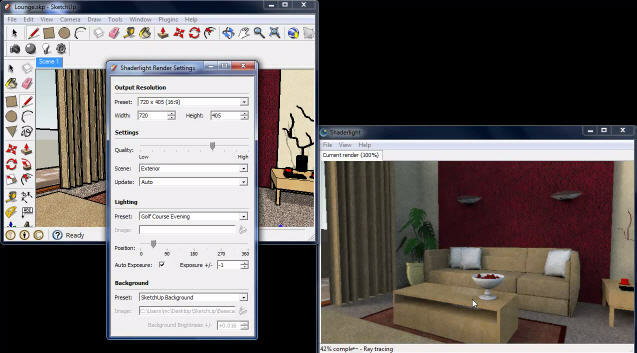 Welcome to CG Online Tutorials - This is SketchUp Customization tutorial category web page and you can find link of a useful SketchUp Customization tutorials regarding Render Settings in Shaderlight for SketchUp, hosted in other web site. If you want to suggest a tutorial please do contact us, you can find our email address at the bottom of the web page. Shaderlight gives you a choice of rendering modes to optimise your workflow. Learn how optimise your Shaderlight settings in the following video.